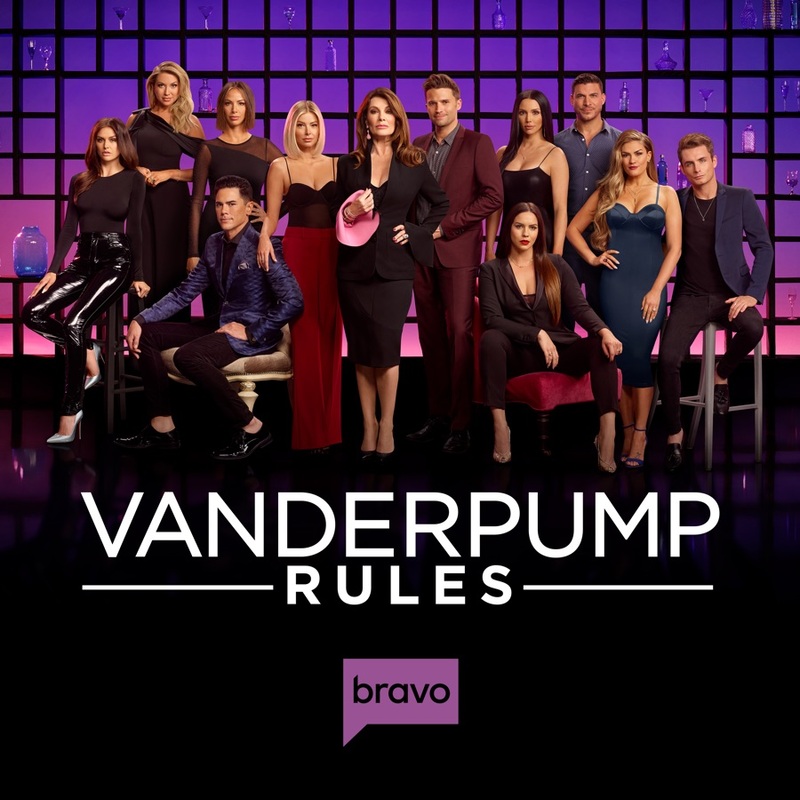 Vanderpump Rules, Season 7 wiki, synopsis, reviews - Movies Rankings! In the Season Seven premiere, Lisa Vanderpump finds herself behind schedule on TomTom, the new bar she's opening with Tom Sandoval and Tom Schwartz. James finds himself in hot water with the group after he insults Brittany with an offensive rap, Scheana settles into single life, and Stassi revels in the "honeymoon phase" of her new romance. Finally, Jax makes a grand gesture to prove he's a new man when he proposes marriage to Brittany. Stassi plans an epic surprise party to celebrate Jax and Brittany's engagement, but Sandoval and Ariana question Jax's ability to commit to one woman for the rest of his life. James attempts to work his way back into the group's good graces, unaware that Kristen has hatched a plan that might ruin his romance and banish him for good. Stassi seeks Lisa's approval for her new beau Beau, and Lisa must decide whether Jax deserves another chance to work at SUR. James spirals out of control after being ambushed by Kristen at Pride, while his girlfriend Raquel struggles to accept new rumors about his alleged infidelity. Jax and Brittany decide to start a beer cheese company together, Tom Schwartz takes James to task for insulting Katie, and Scheana feels threatened by Stassi and Ariana's newfound friendship. When Katie is the victim of body-shaming comments, she gives Lisa Vanderpump an ultimatum that will send reverberations throughout the SUR community. Katie's ultimatum forces Lisa Vanderpump to reconsider employing James at SUR, while Scheana tries to prove her loyalty to Katie, Kristen and Stassi by cutting ties with him. Tom Schwartz and Tom Sandoval differ in their methods of interviewing potential TomTom staff, Jax and Brittany host a dinner party to debut their beer cheese, and Lala resents having to return to the hostess stand after enjoying a glamorous life outside of SUR. Stassi and Ariana put their rivalry aside to throw an epic winter-themed birthday party, but Stassi's new boyfriend Beau gets his first taste of Stassi's famously bad birthday behavior. Jax confronts Tom Sandoval for questioning his engagement to Brittany, while Scheana finds herself attracted to her "best friend" Adam Spott. James Kennedy finds himself cut off from everyone at SUR, but Lisa vows not to give up on her former DJ. The group journeys to Marina del Rey for Scheana's housewarming, where they learn Scheana and her "best friend" Adam have made their relationship physical, and Lala calls out Billie Lee. Ariana erupts on Tom for gossiping to the guys about her past romantic encounters with women, and Lisa Vanderpump finally reveals the fully finished TomTom to a giddy Sandoval and Schwartz. Stassi gives Kristen tough love about her relationship with Carter, while Sandoval and Schwartz worry that Lisa may not put their cocktails on the TomTom menu. When Lisa gives James permission to DJ an event at PUMP, he makes a play to regain his full-time job at SUR. Finally, upon returning home from the girls' trip, Lala faces a betrayal from her boyfriend that may end their three-year relationship. Stassi desperately wants to make a good impression when she first meets Beau's mom, but her hopes are dashed when Kristen and Carter cause a huge fight with Stassi and Katie in front of everyone. Sandoval and Ariana finally have an honest discussion about having kids, Jax dotes on Brittany after her dental surgery, and Lala dishes some dirt about the tawdry beginnings of her relationship with Randall. The Toms plan a Puerto Vallarta vacation for their friends, but Katie explodes on Sandoval when she learns they've also invited James Kennedy. Kristen and Carter share an awkward dinner on their three-year anniversary, Lisa Vanderpump doles out some wisdom that might salvage a friendship and business partnership, and Tom and Tom are forced to confront James with some very bad news. On the day of TomTom's official opening party, Sandoval surprises Schwartz with his grandest gesture yet, while Lisa confronts Lala about her behavior at Billie Lee's brunch. Katie sees the group's vacation to Mexico as a chance to reconnect with her busy husband, but ends up exploding when Schwartz takes a seat in first class without her. Still smarting from his exclusion from the trip, James makes a shocking revelation about his sobriety. As the Mexico trip continues, Stassi unleashes her insecurities on Beau, while Ariana attempts to show Lala the error of her mean girl ways. Lisa oversees TomTom's first dinner service back in West Hollywood, while Schwartz and Sandoval celebrate their bar's big success from afar. A blissful Kristen finally conquers her travel anxiety, but her temper is tested when Jax dredges up old accusations against her. On their final night in Mexico, Lala's decision to return to drinking leads to a public panic attack, while Schwartz finds a unique way to rekindle the romance with Katie. Stassi and Beau try to repair their relationship after their epic fight, while Kristen and Ariana take a step forward in their newfound friendship. Back in LA, Lisa contemplates firing a long time staff member, Raquel decides to throw a "puppy shower" to win some friends, and Billie Lee gets yelled at by Lisa for disrespecting her at work.